As an avid shopper, Cosmas Wong always felt irritated to find retail companies (to whom he is a loyal consumer) barrage him with a bulk load of messages that were irrelevant. Disturbed by the prevailing consumer strategies that fail to incorporate contextual value to the data, Wong, with decades of big data experience, started exploring the possibility of developing solutions which took due consideration of consumer’s changing behavior to deliver personally compelling offers. 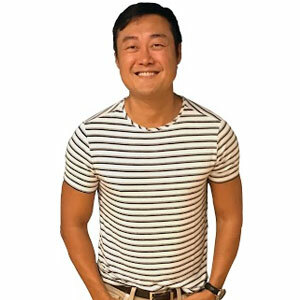 As he discovered the pervasive potential of AI in explicating consumer behavior, Wong went on to launch Grey Jean Technologies, a self-learning personalization company that improves retailer’s customer acquisition and sales. The core to Grey Jean Technologies is its sole product Genie, an AI powered recommendation engine that provides an accurate prediction of consumer purchase behavior based on transaction history, demographics, location, time, social media activity, preferences, and behavior. This empowers retailers to target loyal and prospective customers with relevant messages, using the right channels, at the right time. Genie is built on the principle of real life implementation of machine learning, it provides continuously updated, real-time prediction, allowing the retail marketer and merchandiser to keep pace with the consumers moving across different channels. “Genie enables smarter and proactive decisions, helping retailers optimize their product mix and campaign management efforts,” states Wong, Founder and CEO of Grey Jean Technologies. With a functional Key Performance Indicator (KPI) set up, the implementation of Genie involves a harmonious integration of technology and consulting. It starts by defining the required outcome of the consumers, followed by a seamless plug into retailers’ point of sale, CRM and loyalty systems to ingest disparate sources of data, such as consumer data, product data, transaction data and campaign data. As it is a cloud-based solution, these capabilities are added to the back-end functionality of the retailer’s systems without having to install any extra software. Following this is the mapping process that connects the disparate data points. After mapping, Genie runs the machine learning algorithms, creating unique patterns of similar consumers, using the significant signals in the historical data to accurately predict consumers’ next set of actions. As Genie is modeled on a continuous self-learning process, the actions of users to recommended content are recorded and fed back into the system, providing more refined predictions and recommendation to the retailers. Another stellar quality of its capabilities is that it does not predict the product on the outset, but goes one step deeper in breaking it into components and then predicting the components. Thus, providing a more accurate prediction of what specific consumers are going to prefer. Take the case of blueberry yoghurt; Genie breaks it into further components namely the blueberry, yoghurt, organic food, brand, and more that results in a detailed understanding of a consumer’s preferences. “We pride on providing seventy percent accuracy on our predictions,” states Wong. As Grey Jean steers ahead with a dynamic work culture coalescing innovation with customer requirements, it plans of expanding its solutions to the financial and medical sector. It also intends on making geographical expansion to the Central and South American region that hosts a large retail sector. With such ambitious plans for the future, Grey Jean Technologies is determined to carve the path for real life implementation of AI.